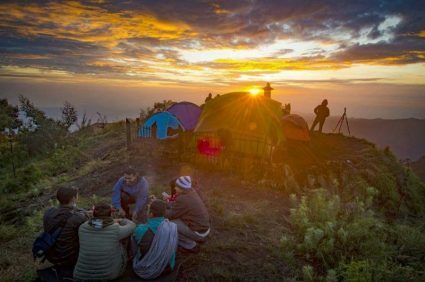 Mount Bromo ijen Tour Packages 4 Day 3 Night, This package is intended for those of you who like adventure in an unusual tourist attractions or have a stunning natural beauty with duration of 4 day and 3 night. The tour will start after being pick up by our driver or tour guide at the Airport, Hotel or Train Station in Surabaya / Malang or places we have previously set. Our driver or tour guide will take you to Pronojiwo village in Lumajang City area for about 5 hours driving by private car depending on the capacity of the participants. You can stop wherever you want, talk to our driver. Before going to the waterfall Breakfast first, then meet with my local guide and breafing for a preparation Tumpak Sewu waterfall tour, walk only 200 meters to see the panorama Tumpak Sewu Waterfall. This waterfall is very different from other waterfall tour because we have toup and down the cliff and follow the river, Of course we must be extra strong and careful. Waterfalls that can be classified as an extreme journey is synonymous with adventure, it takes 5 hours to explore the Tumpak Sewu Waterfall because this place has many waterfalls among other things : Nirwana Waterfall, Telaga Biru waterfall and Goa Tetes. Goa Tetes is a cave with rainfall contained ponds in it then there is a waterfall and there are also natural stalactites and stalagmites. After Done in these four places then return to the homestay, lunch, take shower and packing then prepare to go to the area of Mount Bromo about 5 hours drive. 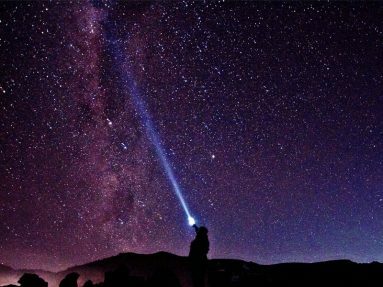 You will get up early morning at 2:30 am for the preparation of the bromo sunrise tour, at 03.00 am you leave the hotel by using 4 WD Jeep Bromo to Mount Penanjakan / Kingkong Hill View point 1 which is the purpose of seeing the sunrise in this area to take picture and watch the sun rise. From the beauty of Mt. Bromo Sunrise you will see the highest mountain in Java, Semeru Mountain which releases gas of smoke every 20 minutes. Once satisfied with the sunrise, return to the jeep and will take you to the second location it is Crater of Mount Bromo. Jeep Bromo will park 1 km before Bromo crater. From the Jeep parking lot you can walk or use rent horse service to the ladder on the next bromo mountain you will pass 250 steps to the lips of the crater. After returning from the crater, the jeep will take you to the third location of the Savana / Teletubbies Hill that continues until the last point of the tour that is whispering sand. Finally jeep bromo will take you back to hotel. breakfast, take shower, packing ( check out ) and head to hotel in ijen area. You will wake up early 12.00 am to prepare for the Ijen Blue fire tour, breakfast can be taken first and depart at 12.30 to Paltuding ( parking ), you will meet with local guide to guide to the peak of ijen for 1.5 hours climb. At the top of the mountain you will enjoy the amazing natural phenomena of the blue flame. Once satisfied with the blue flame, such as : Crater Lake Ijen, Mount Ranti, and of course you will see many people carry sulfur on their shoulders. On average they can carry 70 Kg to 120 kg per person with a salary of about 1,100 rupiah / kg not up to 1 $. Hard work. When we finish with Ijen Tour, return to the parking area meet with our driver and then head to Ketapang Ferry port / surabaya Airport / Hotel.